One of Ten at the Top’s focus areas for 2019 will be convening various stakeholders to address what is becoming a serious problem in South Carolina: a shortage of teachers to meet the growing demand. 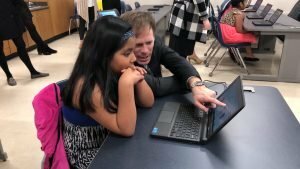 student achievement in Greenville County Schools.” That mission positions Sanders ideally to gather interested parties to address the shortage. Ten at the Top has for some time been convening district superintendents and business leaders in the Upstate, but it has been with a workforce development focus in the past. The group evolved to include leaders in higher education in an effort to bridge the gap between K-12 and higher education institutions. 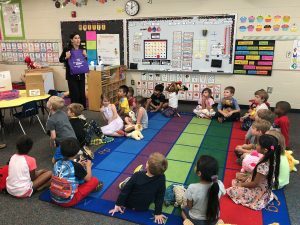 After several meetings with representatives from those three sectors, it became clear that the state’s teacher shortage—which is only projected to worsen if steps are not taken to address it—is an issue that needs focused attention. Understanding the challenge—why is there a shortage? What are teachers actually saying? Thinking about elevating the profession. How do we better tell the story of teachers? This a marketing strategy, both to potential teachers and the public. Thinking specifically about teacher retention and recruitment strategies. The first is important because, Sanders says, the shortage is really a symptom of an underlying problem, and without an understanding of what’s causing it, any measures taken to address it will be ineffective—or at least not as effective as they could be. Teacher pay gets a lot of press, but it is far from the only issue. Public perception of teachers and education is also a factor, as is a lack of stature for the profession, and the 2nd and 3rd committees seek to address those issues. Alternate routes to certification are another piece of the puzzle—not to replace the traditional route through colleges of education, but to supplement it as a source of teachers. An added benefit of that is that the pool of teachers entering the profession will have added diversity, with older teachers who have had other professional experience to draw on. the Education Spectrum Forum, in April. Each has 10-12 members, comprised of K-12, higher education, and business sectors. Although Sanders hopes to engage policymakers, the outcome of the committees is not policy recommendations, but the hope is that policy will emerge from the process. This group’s efforts are running parallel to legislative efforts, in fact, with education being at the forefront of policy initiatives in Columbia. South Carolina Public Radio reports that Gov. McMaster’s budget recommendation calls for a 5% pay raise for teachers among other things as part of his promise to fix education in the state. The money to pay for the proposed reforms comes from a budget surplus as well as increased tax revenues from a growing economy. And McMaster promised in his State of the State address to sign into law reform bills that have been proposed in the state assembly. Ten at the Top and Public Education Partners will continue to focus on this issue throughout 2019 and will continue to use this space to update constituents on the progress.